After suffering a flat tire and finishing a disappointing 38th place in the 2012 Olympic Games in London, Gwen Jorgensen quickly assessed what she needed to do to win Gold in 2016. “After the London Olympics, I researched what the best triathletes in the world were doing, and most were in a daily performance environment training with international athletes,” recalls Jorgensen. Along with her husband Patrick Lemieux, she interviewed several top coaches, eventually deciding on Australia-based Jamie Turner and his squad of elite triathletes known as the Wollongong Wizards. 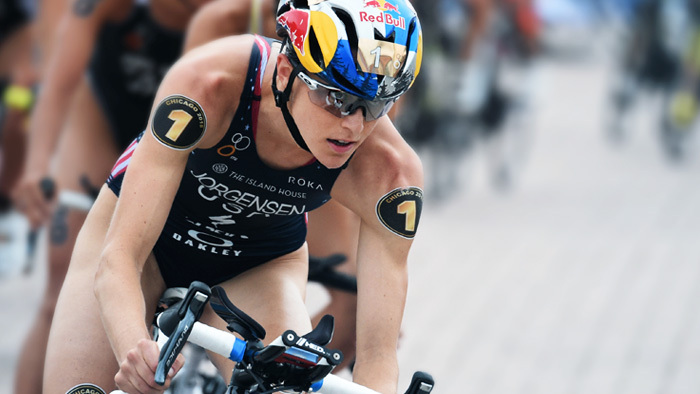 Since that time, Jorgensen has risen to become the most dominant female Olympic Distance triathlete in the world. Having a coach providing daily feedback, and the new squad environment, has made a big impact on Jorgensen. “Jamie and the Wollongong Wizards are a huge part of my success,” she says. “Jamie is at every session. This allows him to analyze when I am too fatigued and need a break versus when I am tired and need to push through. He is also there to give technical feedback and help me improve as an athlete.” Since her time with Turner, Jorgensen has won the ITU World Championship in 2014 and 2015, and holds the women’s record for career ITU World Triathlon Series (WTS) wins with 15. Jorgensen has won every race she started since May of 2014 for 12 consecutive wins on the WTS circuit and in 2015, Jorgensen became the first triathlete, male or female, to complete an undefeated season. While most athletes don’t train with an elite group while a coach looks on, feedback can come in many forms. By tracking your training and looking at long term data, any athlete can identify when they are overly fatigued, when they are on the cusp of overtraining, and when they are fresh. With the data to help you decide and provide objective feedback, you can make the right decision for your own training. Of course it is simple to say the Jorgensen has some big goals, with the obvious focus on a successful performance in Rio this August. But as every athlete should, she has also set intermediate goals that are based on the process and not an outcome. “I can easily say I aspire to win gold in Rio. It is more difficult to come up with the process of how I will achieve my desired outcome,” she commented. “However, with the help of Jamie, I am slowly learning how to identify process-based goals. These are easily measureable and achievable, whereas with outcome-based goals I may do everything correctly and still not achieve what I wanted to.” While it sounds simple, it is the daily adherence to the smaller goals that leads athletes, elite and age-grouper alike, to achieve what they set out to accomplish. It helps that her coach is always there, making sure she is executing these small but important goals. It is simple the things, executed perfectly time and again, that allows Jorgensen to reach her full potential. But immediate feedback can come in many forms. A simple review of your training session and making comments can allow you to stay on track with your own process goals. So while a third World Championship or Olympic success is not guaranteed, it is certain that Gwen Jorgensen will leave nothing on the table in her preparation. Her commitment to the process, not just a result, means that she will achieve her goals no matter the outcome.